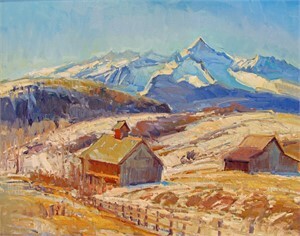 Don Sahli made the decision to become a professional artist at a very early age. Sahli was a prodigy, as a child he began to be recognized. By the time Don was 16, art galleries in Taos, New Mexico and Texas were selling his paintings. 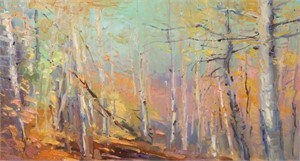 Now at 56, Don has been a professional painter earning a living as an artist for over 40 years. Sahli’s pedigree as a painter began through out his early education. Teacher’s from elementary through high school allowed the germination of his talents. Sahli was awarded a gold key finalist at the National Scholastic Art Competitions four years in a row during high school. His Senior portfolio traveled to New York City and was there awarded a gold key. In 1982 Sahli attended the University of Texas at Austin. As a freshman he attended a full slate of senior level art courses. Sahli work was selected to the student faculty show as a freshman and made the dean's list. 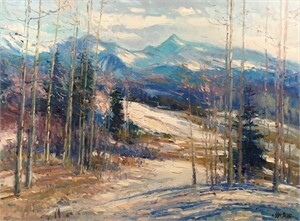 Don left the university system and began to attend workshops and continued to paint and explore opportunities in New Mexico. In 1983 he met Sergei Bongart, the famous Russian colorist. At Bongart’s invitation, Sahli followed him to Los Angeles, California and became his last scholarship student and apprentice. He remained with the Russian for three years, until Bongart’s death in 1985. Don Sahli is an American painter and teacher. 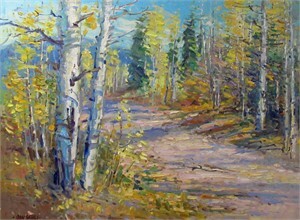 “In 1982 I attended a painting demonstration by Sergei Bongart at his summer workshop in Rexburg, Idaho. There I saw Bongart use color, paint and confidence of stroke like I had never seen before. At that moment I knew I wanted to be a painter in this colorful tradition of the Russian School. My life was changed forever in an instant” Don Sahli made the decision to become a professional artist at a very early age. Sahli was a prodigy, as a child he began to be recognized. By the time Don was 16, art galleries in Taos, New Mexico and Texas were selling his paintings. 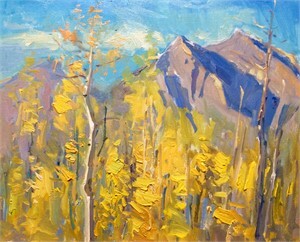 Now at 56, Don has been a professional painter earning a living as an artist for over 40 years. Sahli’s pedigree as a painter began through out his early education. Teacher’s from elementary through high school allowed the germination of his talents. Sahli was awarded a gold key finalist at the National Scholastic Art Competitions four years in a row during high school. His Senior portfolio traveled to New York City and was there awarded a gold key. In 1982 Sahli attended the University of Texas at Austin. As a freshman he attended a full slate of senior level art courses. Sahli work was selected to the student faculty show as a freshman and made the dean's list. Don left the university system and began to attend workshops and continued to paint and explore opportunities in New Mexico. In 1983 he met Sergei Bongart, the famous Russian colorist. At Bongart’s invitation, Sahli followed him to Los Angeles, California and became his last scholarship student and apprentice. He remained with the Russian for three years, until Bongart’s death in 1985. 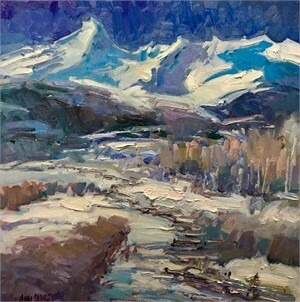 In 1995 Don Sahli opened Sahli School of Art in Evergreen, Colorado where he continues the tradition held by his teacher and in the lineage of the Russian masters. “My teacher Sergei Bongart taught, his teacher Peter Kotov was taught by Nicolai Fechin and Fechin a pupil of the fountainhead of all modern Russian painting Ilya Repin. Sahli keeps this tradition alive in giving back to the student as this is a critical aspect of the artistic process... “I am a better painter because I teach. 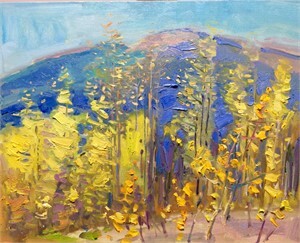 The Russian tradition of color and temperature continues” “Bongarts heavy steps are still heard in my classes and studios” Presently, Don Sahli’s work is represented by galleries across the country and his work is in private collections nationally and internationally. Sahli is prodigious, has a firm pedigree and is prolific, producing large studio pieces, numerous plein air works — including public and corporate commissions. Don Sahli is an American painter and teacher.